Did you grow up in Sheffield? To cut a long story short(ish), I grew up in London. But when it got to the stage where I needed to buy a house, it was a bit like now: pretty much impossible for a freelance artist to buy anything in London. So that’s why I looked to move further north and I chose Sheffield. I settled here and originally thought that it would be a bit of a culture shock, especially since I didn’t move north because I’d chosen it - I did it for financial necessity. But actually it was a really good thing and looking back, I’m really glad. I love living in Sheffield: the quality of life is much better and it’s so much easier to live as a freelance illustrator here. You get so much more for your money, so there’s not quite the same level of pressure on you. It’s actually full of artists. I didn’t realise when I moved up, but apparently Sheffield’s got something like the largest amount of artist’s studio spaces outside of London. And there are lots of burgeoning little galleries starting as well. Am I correct in thinking that you also teach at one of the universities in Sheffield? I have done, yes. There are two universities in Sheffield. It’s Hallam University where I’ve taught. That’s where they have the Art and Design courses. My first teaching experience came when I originally arrived in Sheffield. I wanted to meet people and get myself out there a little bit. In London, I used to go nuts, working as a freelancer at home, having no contact with other people: it’s just you, day in and day out. You go a bit crazy. So I did some Further Education lecturing at the Sheffield College. I taught Life Drawing, Illustration and a few other bits and pieces, part time, carrying on with my freelance work at the same time. It worked exactly as I wanted it to - I met loads of people and it even taught me how to use computers! But anyone who has ever taught will be able to tell you that you can’t actually be a part-time teacher - it just takes over your life. So, after a while, I had to make a choice: to either become a full-time lecturer or to give it up and go back to being a freelancer... so I decided to give it up. 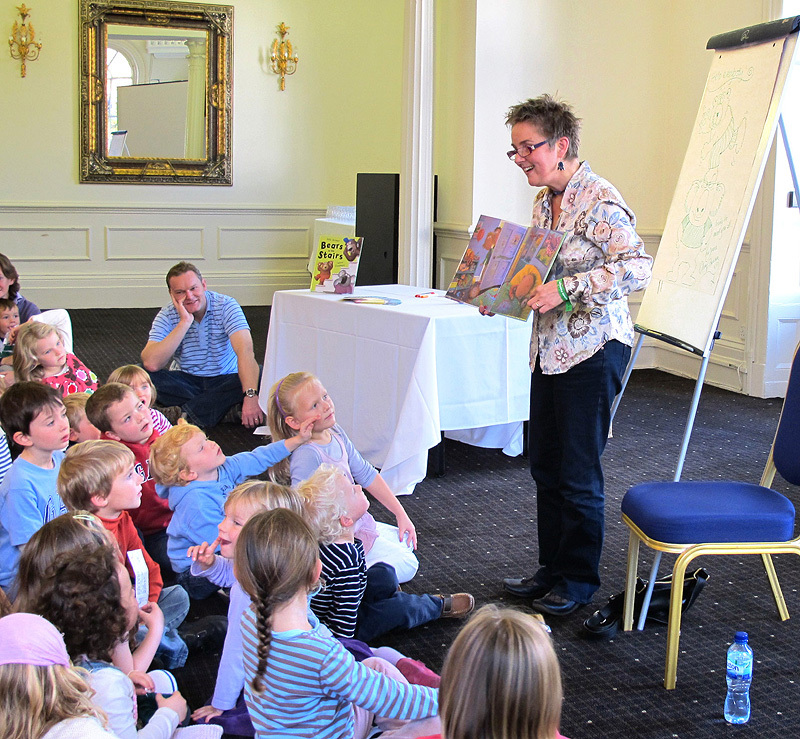 I average about 50 days a year, delivering this type of teaching to students of all different ages and aptitudes, from four year olds up to adults. Which keeps it interesting. You also teach on Craftsy. That’s online and, I guess, involves less contact with people. How was your experience on that platform? I got the job doing the Craftsy class because of the films I’ve made for YouTube. I made my little films just for fun, although it’s quite tricky getting the technical part right at home, the light and sound and so on. I love telling people about what I do though: I’m passionate about it and I know it inside out and back to front, so it’s easy to talk about. For people interested to check out my Craftsy class, here is the link to the class which includes a discount as well. The Craftsy people liked the films I’d made, plus I was recommended to them by someone else who’d worked with them. So they invited me to do a class about children’s book illustration. I had no idea what to expect at all. The films are much better than what you generally get on YouTube - all very high quality and there is much more substance. You are in a proper film studio for three days to shoot the film. It was really exciting! Apart from anything else, they flew me to Denver for a week, for free - I was like, wow! So you are also a film star now! And how awesome that they paid for your plane to Denver and back! Yes, they clearly make enough money on the films to make it worthwhile flying me out there, so they must think it will sell. I’ve no idea how it will be financially for me, I just need to test it out and see. It’s paid a bit like a picture book: they give me an advance, for my time and my expertise, then I get a royalty on the classes. So, if it goes crazy and loads of people subscribe, I will start to get additional royalty payments once I’ve gone beyond my original advance; if it doesn’t, then the advance is all I get and, well, I was paid for my time and it was a bit of fun. An adventure. 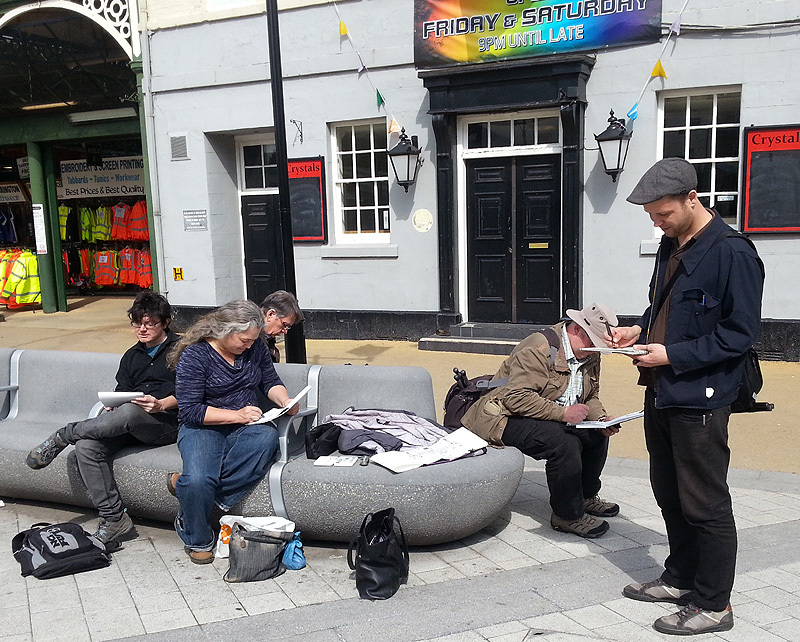 I saw on the urban sketching website that you joined in 2007 or 2008, is that correct? 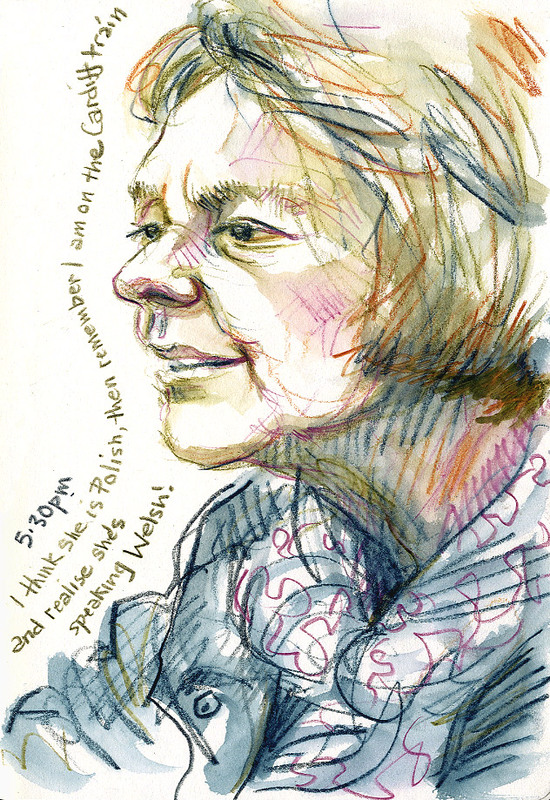 Yes, it wasn't long after it was first set up, when the person who was running Urban Sketchers at the time, Gaby Campanario, was looking around for people in different territories. It all began in America but, to make the organisation truly global, he scouted online for sketchers in various countries, who he invited to become correspondents, until he had 100 from all around the world. So are you paid for that? No, it’s voluntary. All I have to do is more or less what I was doing anyway. 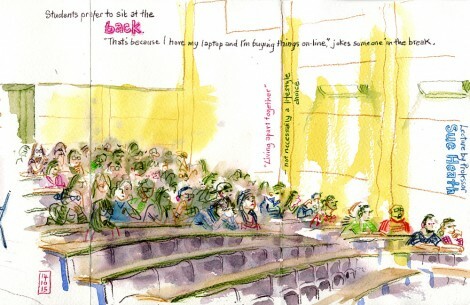 I have to keep posting my work, but also writing blog posts occasionally for urbansketchers.org, as an inspiration to other people. 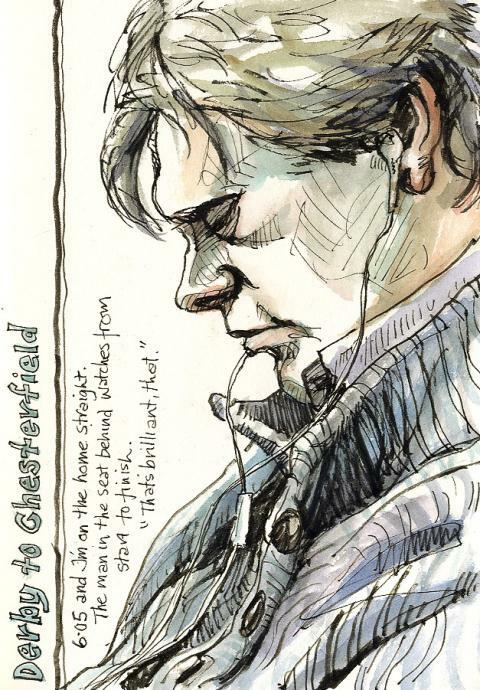 Another part of the remit is to try and inspire sketching where you are, so I set up Urban Sketchers Yorkshire in 2010. That’s been running ever since. The idea was to try and find all those people out there, who are quietly drawing in sketchbooks on their own, and bring them together. 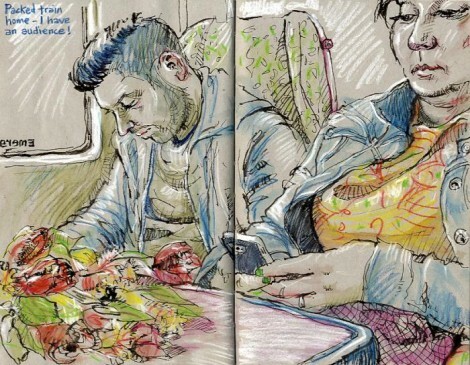 Also to encourage sketchers who wish that they could get involved in urban sketching, but are frightened to go outside on their own and do it. So we meet every month for a day out. I just choose some place and say, “OK, meet me at the station, we are going here for the day. Come if you want." It’s very much about sharing and helping, a lot like WonderStreet in a way. It’s worked extremely well and it’s been going five years now, meeting every month. On your website you mention you can sometimes sit on a train and can be secretly making a picture of someone. I find that intriguing: I live in London and on the Tube people watch each other but at the same time people try to stay away from eye contact. Do you have an example of one of those experiences? Yes! 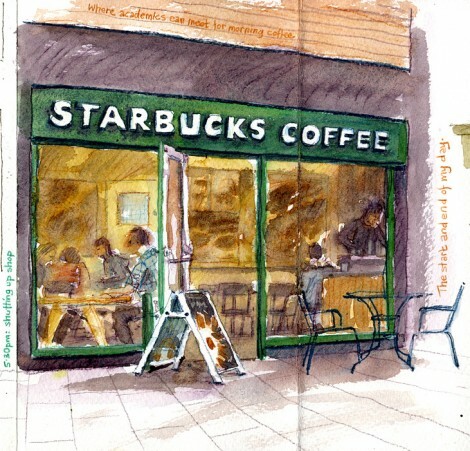 I have a thousand examples, because you know, I have been doing it since before the time I joined urban sketchers. It was train pictures that Gaby saw originally. 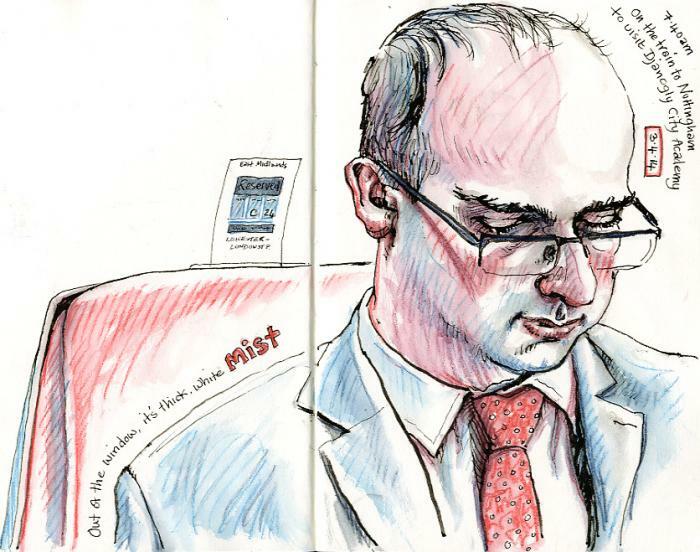 I usually draw somebody very discretely - you can do it even when you are close to somebody. You have to be sneaky! It’s surprising how successful that can be, if you choose the right people. The best subjects are the ones who are working on a laptop or on a phone, reading a newspaper or a book. And those who are asleep of course. People in conversation are a nightmare, because they move around all the time. People fiddling on their phone, though... it’s amazing, they keep absolutely still and they can stay like that for 10 or 15 minutes. Often they never know that they have been drawn. Have you ever approached your subjects after you've drawn them and said “Hey, look!”? Well, sometimes I do, it depends on the situation. Sometimes I show them if I’m in that kind of mood, or if they look like they might like it. They are sometimes completely bemused, because it's so outside their field of experience, but mostly they say, “Oh, that’s nice!” or get really excited and want to take pictures on their phone. But even if I never show them their picture, of course the people who are sitting or standing around me can see what I’m doing, and it’s like we have this strange collusion, where we all know, but this other person has no idea they are being drawn. It’s really funny. Sometimes I get into fantastic conversations with strangers. It’s funny because of course, you don’t speak to people on public transport. But when I am drawing, it's allowed, so people talk to me. I’ve met some great people. Often they spend ages looking right through my sketchbook, or sometimes they whip out their own book and say “Oh, I do that too!”. It’s not unusual to get into a three, four or five-way conversation between the various people who are sat in that area of the train. That’s almost like a social experiment! It is! It is exactly like that. And it becomes theatre when you're drawing outside: you actually become part of the situation you are drawing and your sketching influences what’s happening. It’s a very interesting process. But actually, they’re usually thinking, “Oh gosh, I wish I could draw, that’s amazing!” because, no matter how rubbish you think your sketch is, if they don’t draw, they’ll think it looks amazing. Or they may often be thinking, “I used to do that, I really loved drawing when I was at school” or, “I went to art college, what happened to that? Here I am at 50 and I haven’t drawn since. I wish I was the one sketching.” The key is to just smile at them and engage them in conversation. Usually you will find it’s an extremely positive experience. Could we have a look at a few of those sketches from the train and hear the story behind it? Yes, sure. Here’s a typical sketch of someone who hasn’t noticed I’m sketching them. I’ve been drawing quietly off to one side and they are involved in what they are doing, so they have no idea. Ah-ha! Look: this one says, “A packed train home, I have an audience” - that’s an example of when people behind me have been watching me sketch, but the people I’m drawing doesn’t know, so that’s quite interesting. This one here is an example of where I drew a subject opposite me, who was asleep, so he didn’t know, but the person next to me was interested, plus the people on the other side of the aisle had a little girl who, being a little girl, had no shame, so she kept wandering up to have a closer look and going back and telling her mum and dad what I was doing. So, when I finished, I showed them, then the guy woke up with all the kerfuffle and I showed him. Then the little girl was inspired and saying “Mummy can I draw?” They didn’t have anything with them for her to draw with, so the man who I’d sketched gave her a piece of paper and I gave her one of the coloured pencils I’d been using, and she sat and did me a little drawing. So again, wonderful: an absolutely lovely little experience. Then we all went our separate ways and we never saw each other again. There’s something slightly magical about it. Haha, do you remember which train it was? 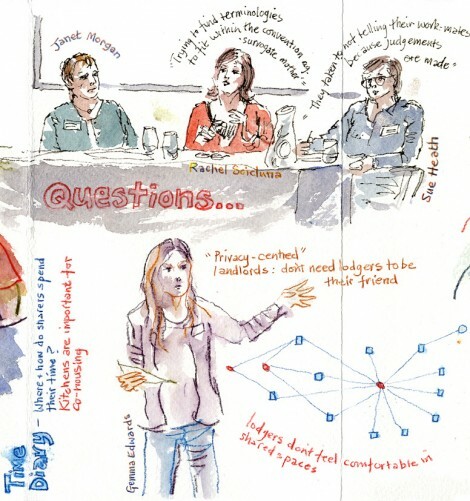 It was coming back from Manchester, because one of the other things I was going to tell you about is my Manchester sketching residency, if you’d like to hear about that? It was from The Leverhulme Trust. 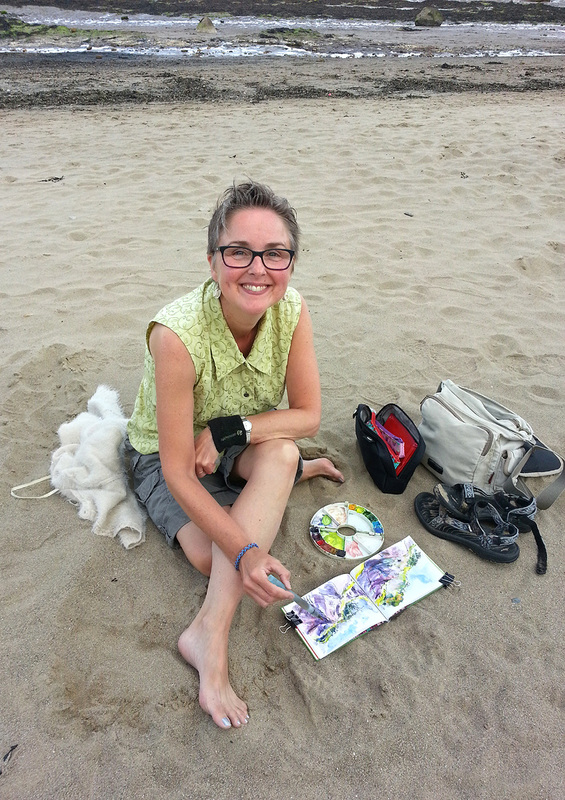 They fund artist’s residencies, but they are a little unusual. What they want to do is put artists of any kind - it could be dancers or musicians, as well as visual artists - into institutions that have nothing to do with art. That’s the only real rule. By twinning those two things together, they get interesting results. 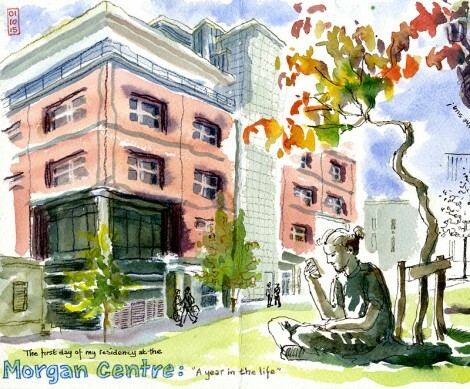 Firstly, I have to create a portrait of a year in the life of the Morgan Centre. 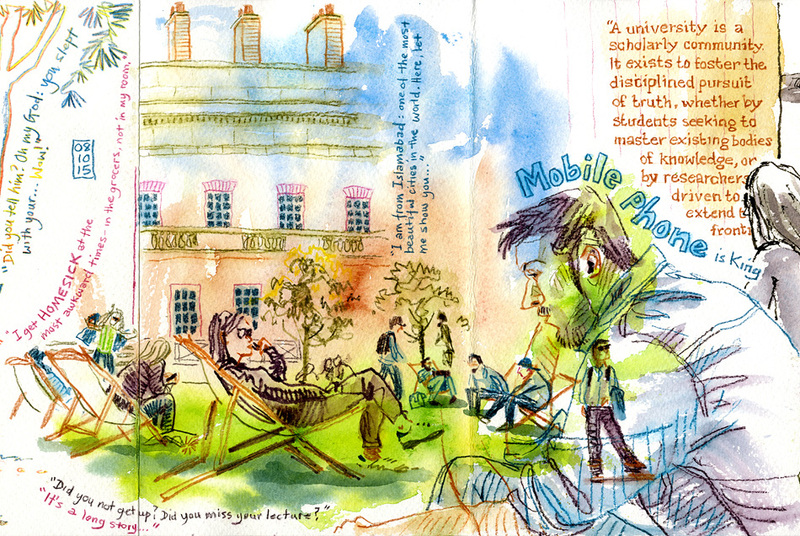 So basically, while the weather's been good, I’ve sat on the grass listening to the students’ conversations, drawing where they hang out and what they do, plus I’ve sat in on lectures and things like that. Apparently, sociology research is very interview-based, because it’s about people’s everyday lives. But it’s very difficult to record the information that they gather: they have a kind of questionnaire system, but that of course misses so much. There is so much more to answering a question than the straight answer, so a lot slips through the net. They have tried supplementing it with photography, but that doesn’t really work, so they are very interested in other ways of recording what happens. They figure having an artist alongside them while they use their traditional system, who is recording other things, could prove very interesting. They want to find out what I capture. But they are not artists? No, and another part of my remit is to empower the professors to draw. We did a big workshop recently, which was really fun. I found it slightly intimidating, because you know, they are seriously clever people, but, well, most of them are pretty visually illiterate. One or two have done some drawing, but most had no experience. It was a funny group to try and pitch it for, so I was a bit nervous! But anyway, it went really well, we had the whole afternoon and I showed them all sorts of techniques. I wanted to de-mystify the ‘blank, white page’ thing, so we sploshed a lot of paint about. I tried to teach them that there are other ways of drawing that don’t have to be judged against how photographically real your result is. That tends to be what the laymen use as the benchmark: does it look like the real thing or not? That tends to be why children stop drawing, because at a certain age they adopt that way of judging their work and become very disillusioned with what they can do, when it doesn’t match up. There are so many other ways of thinking about what you draw. For example, one of the things we did was, I asked them each to bring in a ‘drinking vessel’ from home. Instead of trying to draw it the normal way, with the scary ellipses and all the tricky shading etc, we just drew a silhouette of the shape. Then we looked at the object from underneath and from on top and we overlapped different views, very simple line drawings, created a kind of a graphic spread of the different viewpoints we could find. We talked about why they had chosen the particular mug, cup or bottle: did it have particular resonance or meaning, or did they just forget to bring one and grab the one that was on their desk? Then we added this as text, to echo some of the shapes created and add to the composition. Line-drawings can be very spidery, so we then looked at the negative space that had been created by placing these shapes one on top of another, and we painting in the negative spaces, instead of the object – much easier! The aim at the end of the day was to have a portrait of a mug which was far more multi-faceted than an ordinary drawn study and (hopefully) a wonderfully decorative spread. They were all different and none had much relationship to what you actually see when you look at a mug. They all had a great time and there was lots of laughing, so it was a great success. The whole group have pledged to keep a sketchbook for a year, so I’ve got to keep topping them up with different kinds of empowerment ideas as I go along and give them homework. One or two have already got really into it, which is great! I wanted to show you - I’m also getting them to take part in a chain sketchbook. I’m very into the whole concertina format which you get with a Japanese accordion sketchbook, so that’s what we’ll use. Someone can do something on one page and then pass it along and somebody can carry it on. We’ll pass a few accordion sketchbooks around the department, with people chipping in on them. I’m guessing they’ll find that even scarier, everyone thinking they are going to be the one that’s going to ruin it for everyone else. So I’ve got my work cut out! That’s my first day, that’s the Morgan Centre, that’s the building with the students on the grass and so on. 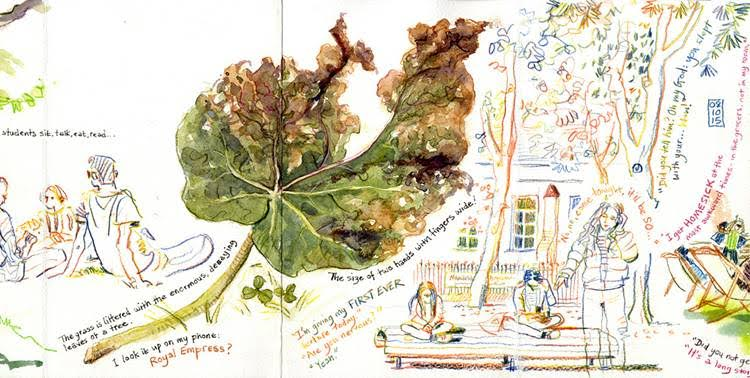 Then there is this amazing big-leafed tree outside the main entrance, so I drew a leaf, then more students on the grass - that’s where I was ear-wigging their conversations (it’s amazing the things they talk about). The text on there is quite illuminating. The idea of the concertina format is that you can flow it all together. 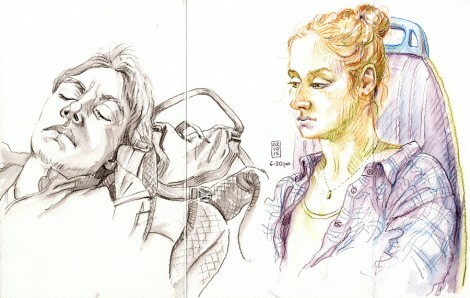 One of the difficulties I have as an urban sketcher is that, though I have got over 100 sketchbooks - such a body of work - it’s all trapped in sketchbooks, because you can’t do anything with a book; you can’t exhibit it. So I decided for the residency to use the concertinas. If I can only resist the urge to draw on the back and just use one side, I can stretch them all out when I’m done and we will have a series of 2m long pieces of artwork which we can actually exhibit. That’s the intention: at the end of the year to have an exhibition. I reckon I’ll fill around 40, so maybe it’ll be just the highlights that get exhibited. We’ll see. It depends on funding. It sounds like you are very busy, being involved with so many different projects! Yes, I have also just finished writing a book on sketching, so that’s another project, completely different to anything else I have ever done. 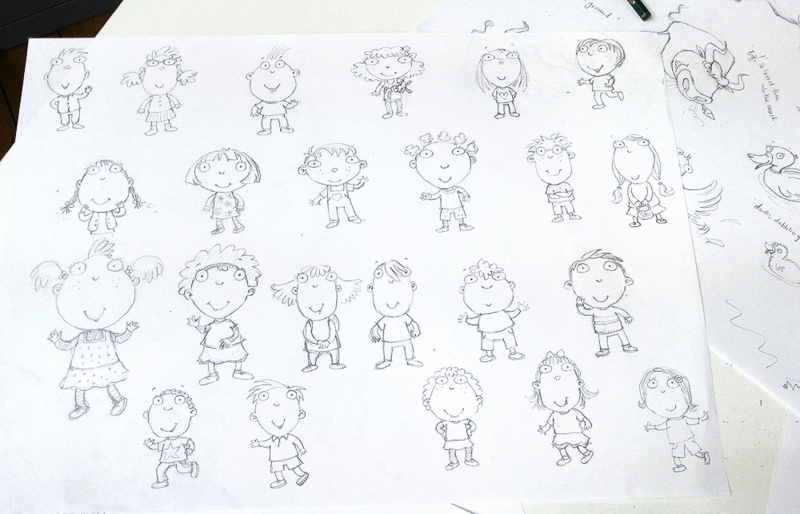 It’s such a different process to doing a picture book. I assumed it would be vaguely similar, but it’s not at all. So that was a good learning experience. Can you tell us a bit more about that book? It’s about sketching people specifically, it’s about all this stuff we were talking about on the train. How do you draw people in public, how do you overcome all the various problems that are inherent in drawing people, particularly in public - the fact that they walk away when you are halfway through for instance. It’s also of course about materials and techniques: different ways in which you can not only sketch a person, but also do it quickly enough. It’s got all sorts of different things in it. It’s been fun illustrating that, which I did partly by going back through the 100 sketchbooks, using my archive work, but also creating step-by-step illustrations, to completely de-construct a process, to make it easier than just trying to explain the finished thing. Plus you know, there are other sketchers who do things I don’t do. For instance, if possible I don’t draw crowds – their a nightmare! So, when I was talking about how to draw crowds, I chose other people’s work. The only system I could devise in the end, was taking photos of anything that was vaguely likely to be used, so at least then I had a picture archive of all the most suitable sketches, and I used that to choose what to put in to the book. Then I had to go back and find all the original sketches again! So I came up with a system of numbering, to help me find them again when we wanted to scan them. The logistics part of it was an absolute nightmare, but the rest of it was very easy. So, is the book out now? It sounds like it would make a very nice Christmas present! Maybe a Valentines present then! Where will the book be available to buy - will it be online? Do you have the exact titles? The titles are the same (sometimes they’re not but in this case they are). 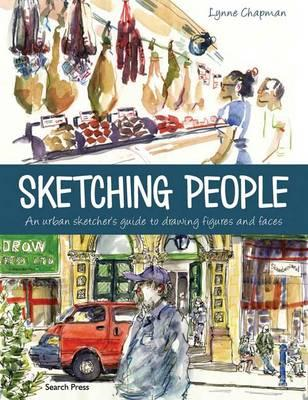 It’s called, ‘Sketching People: An Urban Sketcher’s Manual to Drawing Figures and Faces.’ That should find it if nothing else does. 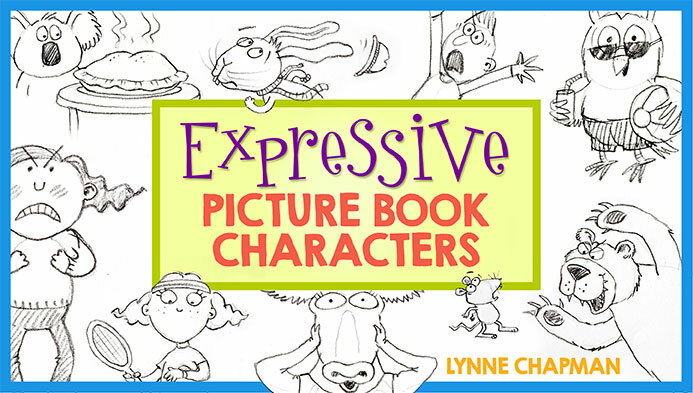 The other big thing that’s happening at the moment is that I have just started a new picture book, literally this week. This is a sequel to ‘Class Two the Zoo’, written by Julia Jarman. It’s one of the books which is most loved from my backlist. It’s about an anaconda that escapes during a school trip. It’s very funny. Then there’s ‘Class Three all at Sea’, which is another in the same series: their school trip gets hijacked by pirates. This one will be ‘Class One, Farmyard Farm’. A bull gets loose and all sorts of havoc ensues. People get tossed into heaps of manure. You can imagine, ha ha! Will that be released soon as well? No, it takes ages. I’ve just started to do the drawings - there is a blog post on that if you want any images of the first sketches - I’ve done character sketches and some initial drawings for some pages. It normally takes me about 3 months to complete the work but, because I’m doing my residency, I’ve only got half the week, so it’s actually going to be 6 months before I can finish doing my bit. It then usually takes about an additional year before it actually hits the shops. It’s quite a long process. If anybody’s interested in illustration, what I actually do when I’m working on a picture book, I do blog posts all through the process, where I show work in progress as I go along, so you can see all the different stages. And I show artwork too. 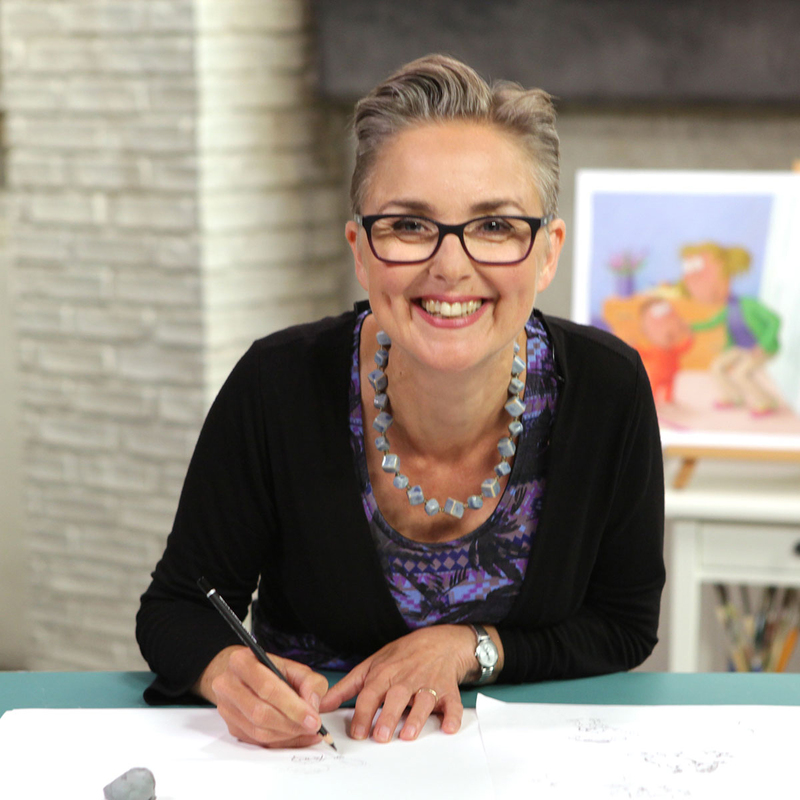 It’s quite a good learning curve for people who want more information about illustrating picture books, factually and visually. Thank you very much for this interview Lynne, you are a true inspiration for many people and I am very happy that you gave us a detailed look into a few of the many projects you are working on. 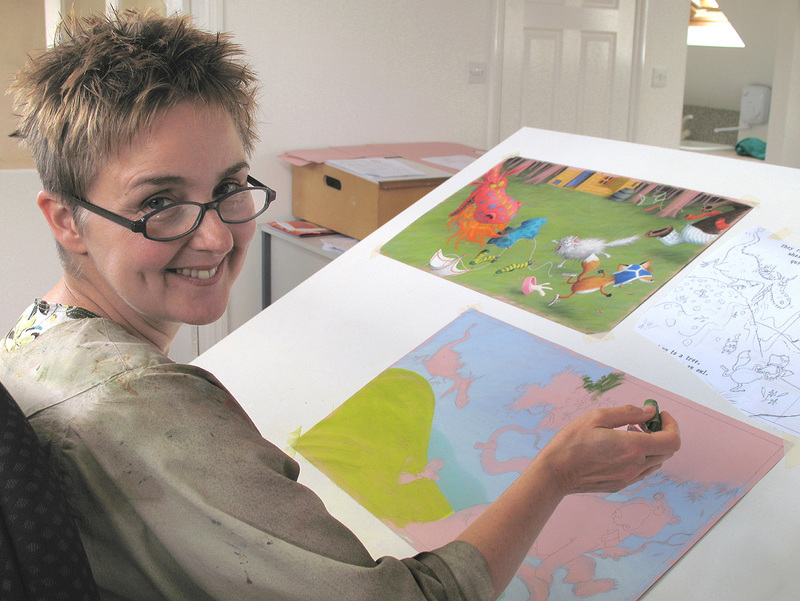 Lynne also wrote about this interview with WonderStreet on her own blog here.